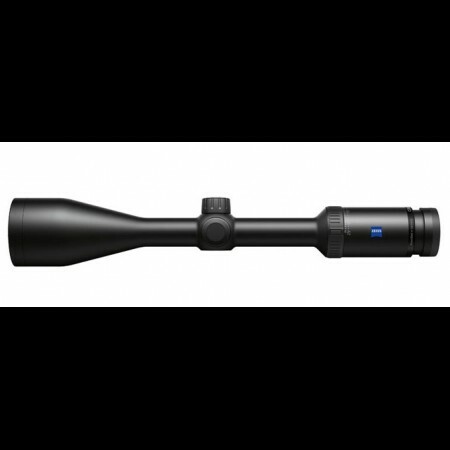 This compact riflescope boasts an extremely wide field-of-view in 2-power making it extremely versatile in most close encounters from dense cover to mid-range hunting conditions in more open terrain. The Conquest HD5 2-10x42 is parallax free to 100 yards. Designed for today’s demanding hunters, the CONQUEST HD5 features a superior 5x variable magnification range, built into the most compact SuperZoom™ 1-inch riflescope in the industry. In addition, optical enhancements coupled with traditional features such as the Carl Zeiss’ proprietary T* lens coating for unsurpassed light transmission and LotuTec® water-repellant hydrophobic lens coating will make this riflescope line an industry benchmark. Quite simply, the CONQUEST HD5 with its 5x SuperZoom™ sets a new standard for features and performance in its price range.